If at first you don't succeed, wait for a new administration. SoftBank (SFTBF), which controls Sprint, is expressing optimism about the prospect for mergers in the U.S. wireless carrier industry under President Trump. The Obama administration was "quite tough on business," SoftBank CEO Masayoshi Son said Wednesday. But now, the "door is open" for potential deals, he added. Son failed in an attempt to merge Sprint (S) with T-Mobile (TMUS) in 2014 after the plan ran into regulatory hurdles. SoftBank paid more than $20 billion to take control of Sprint in 2012 and has struggled to turn the U.S. carrier around. Now, Son is ready to try again, saying that while he is open to other options, T-Mobile remains his "first priority" for a merger with Sprint. T-Mobile CEO John Legere said earlier this year that the company was open to "various forms of consolidation." 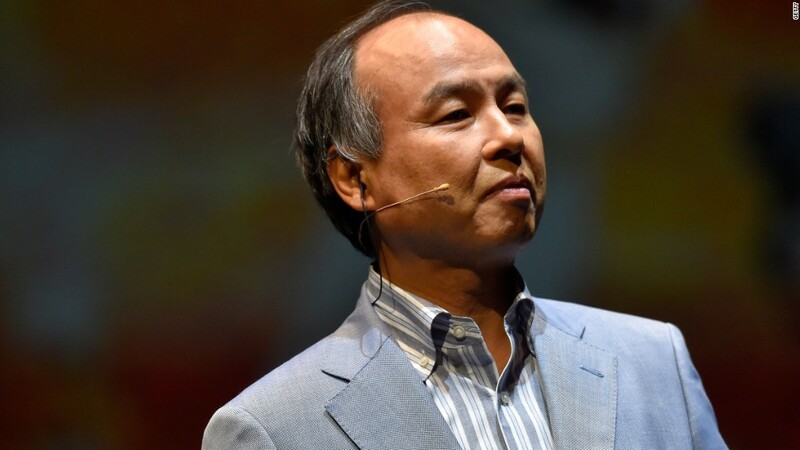 Son, the billionaire founder of SoftBank, met with Trump in December, pledging to invest billions of dollars in U.S. tech companies to create thousands of jobs. He said at the time that the reason was Trump's push for less regulation of businesses. The promised investment in the U.S. is supposed to come from the SoftBank Vision Fund, the $100 billion technology investment fund that Son has been trumpeting for months. The bulk of the tech fund's money is expected to come from the government of Saudi Arabia. Other backers include SoftBank, Apple (AAPL), and Qualcomm (QCOM). Son's remarks Wednesday came as SoftBank reported strong earnings, including a record operating income of 1 trillion yen ($8.7 billion) for the fiscal year that ended in March.